Students who are deemed competent will receive a Diploma in Work Health and Safety BSB51315, which is recognised under the Australian Qualifications Framework. This certification is nationally recognised. 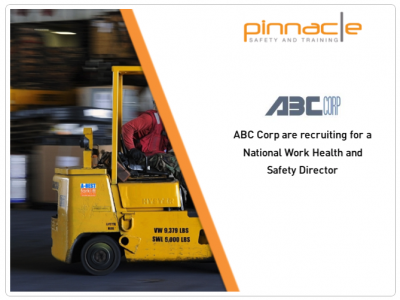 The qualification is issued by Pinnacle Safety and Training (RTO 40496). Introductory Special! $795.00 pp - save $900. This online course has been designed for people who are wanting to work in health and safety management field at an organisational level, such as WHS Director or expert Safety Advisor. When time is precious this course offers participants the option to study in their own time. Participants will learn how to review and audit health and safety management systems, apply continuous improvements, undertake high level risk management processes and develop corporate style policies and procedure to manage work health and safety processes. This course is built around a fictitious organisation and you will be engaged through scenarios and problem-based learning concepts. You are recruited as the new Work Health and Safety Director and as part of the assessment you are immersed into the workplace to improve the organisation’s work health and safety practices. Pinnacle’s Diploma program is not like the others that have you complete one unit at a time for the amount of units required of the qualification. We have built a course that is clustered into three modules. This means you are completing integrated assessment and not unit-based assessment like the other providers do. This approach allows you to complete a more simplified, holistic assessment process and not duplicate assessment tasks. This course is built around a fictitious organisation, to which you have been recruited as the new National Work Health and Safety Director, and immersed into the workplace to identify instances of non compliance and improve the organisation’s work health and safety practices. 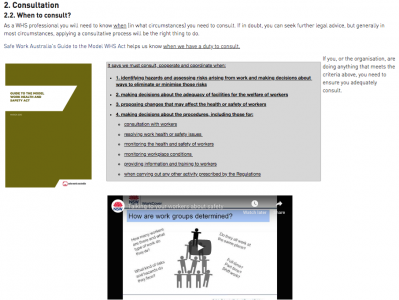 You will be requested to access the organisation’s fictitious website to review their WHS practices, find out what the problems are, and decide if the organisation’s processes are compliant. You will watch videos from employees and undertake other learning activities. You will work through project assessment tasks that require you to put yourself into the organisation’s problem scenarios. After the review and analysis of all the problems you will determine and communicate why things need to change and put forward recommendations on how to improve the WHS practices. 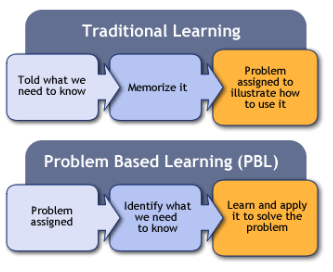 As depicted in the image below, this style of learning is known as ‘problem based learning’ and this is the approach applied throughout this course to give a real life feel and engaging process through your learning journey. Download the Diploma BSB51315 Course Guide for more information. The above prerequisites must be uploaded to your online learning platform. Access to the full course curriculum and assessment tasks will not be granted until the prerequisites are provided. Once you have submitted your prerequisites we will conduct the verification process and release access to your course within one business day of the documents being submitted. Use your own computer, which meets the minimum System Requirements of Pinnacle’s e-Learning system (we officially support and recommend modern desktop or laptop computers running Google Chrome web browser). You must have a stable internet connection. Your computer must be able to play sound. Due to the research and assignment components of this course, other personal devices (e.g. phones and tablets) are not supported. Have the skills to compile electronic documents using software applications (e.g. Microsoft Word), and software that will allow you to open and edit Microsoft Word documents. Be confident to conduct research, analyse your findings and present information in assignment-style assessments. Fantastic instructor and content of learning. Great experience and will come back again if we are to undertake other training.